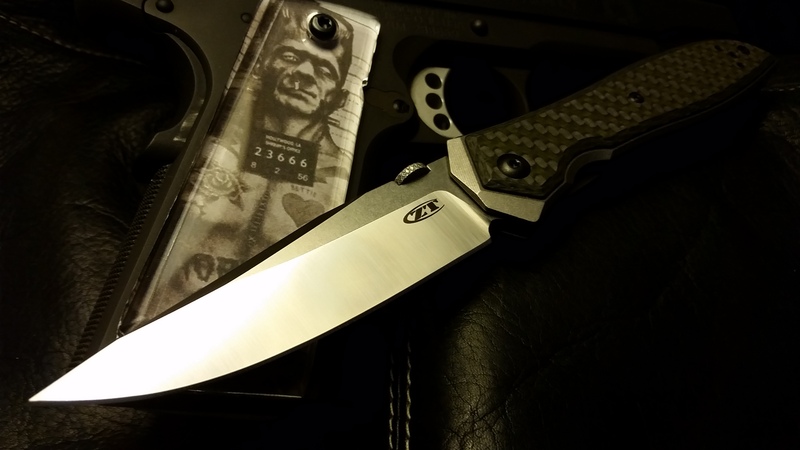 Kershaw/ZT Picture Thread!!! Let's See Em'! Discussion in 'General Knife Discussion' started by 9blades, Mar 4, 2014. Edgeoflife, Brhowser87, bigolegator and 1 other person like this. Ajack60, Edgeoflife, bigolegator and 2 others like this. Ajack60, Edgeoflife and 3L3M3NT like this. bigolegator, Ajack60, Icky Thump and 1 other person like this. View attachment 1095008 View attachment 1095009 Both are CPM-S110-V.
What model Zt is the blue one? Ajack60, Icky Thump, 4mer_FMF and 2 others like this. bigolegator, 4mer_FMF, Ajack60 and 1 other person like this. bigolegator, Ajack60, Edgeoflife and 2 others like this. 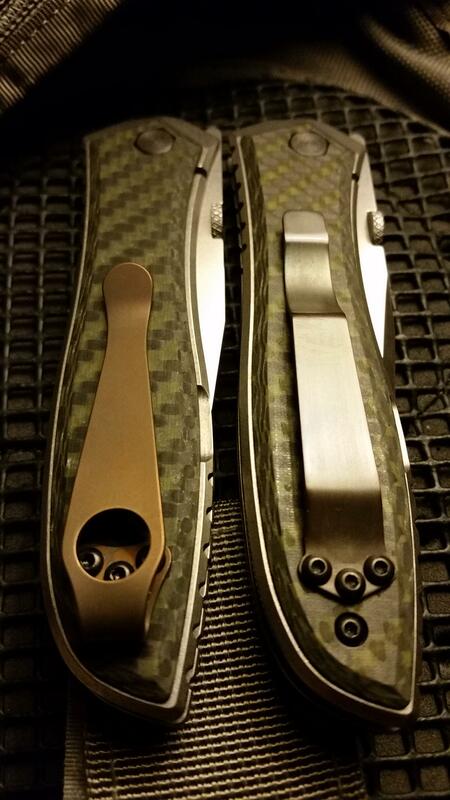 That is an 801 that has had a blade swap, an anodize job, and a custom clip. 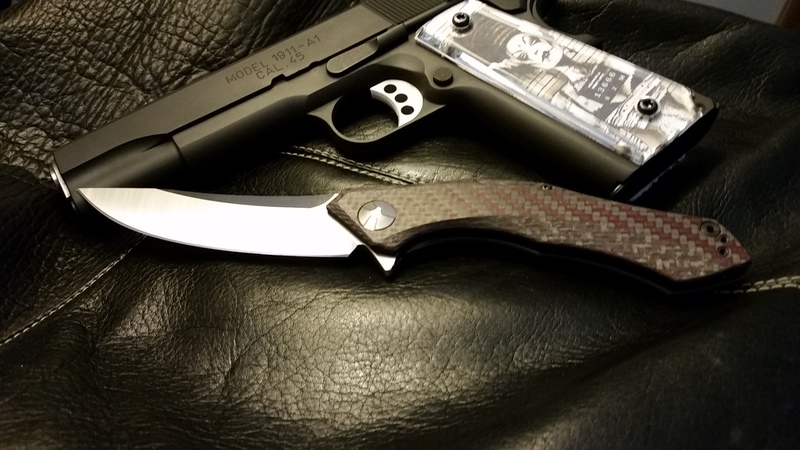 Don’t understand why they discontinued this knife! colin.p, Edgeoflife and Icky Thump like this. With a little help from Pete Gray..
How do you like that 0055?..Really tempted, had one in the cart..changed to the 0470..should land today..the 55 might be next..
Nautique and Ajack60 like this. Me either, I own one myself and think its different enough from the s30v blur. Both are great values! 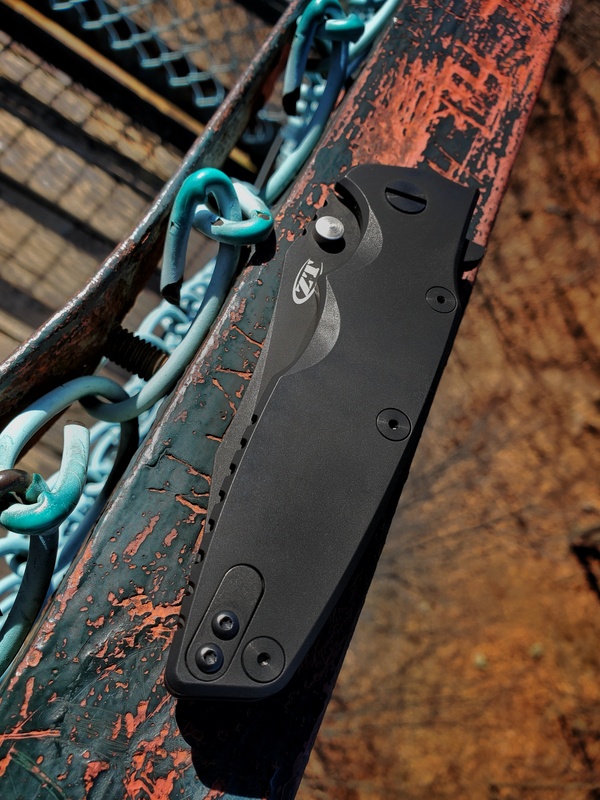 The 0055 is a very unique knife visually. The hidden flipper tab is cool. Definitely makes for some good conversations. I wouldn’t want to aggressively pierce anything with it (no forward finger choil or flipper guard). 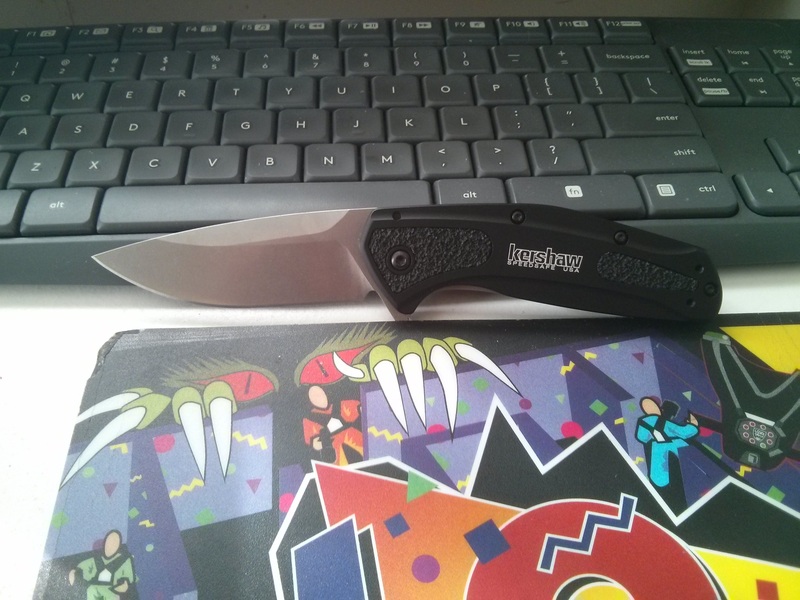 But, I think the the utility aspect of the knife will be decent (just got mine recently). If you shop around you can get some really good deals on them right now. Edgeoflife and Icky Thump like this. bigolegator, colin.p, 4mer_FMF and 1 other person like this. That monster thumb disk make it easier to open? Been thinking about getting one. 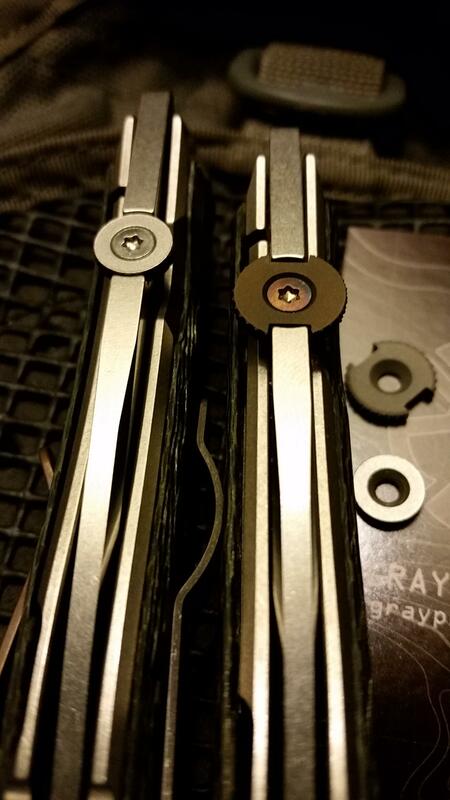 The struggle is real to open my 640 occasionally. Night and day. 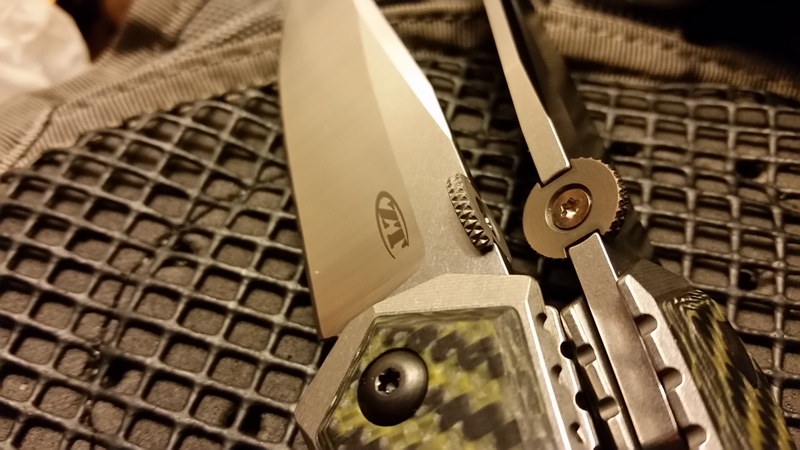 I thought the pocket clip was the biggest issue..but the stock disc is uncomfortable at best..painful, really..these oversized discs work like a charm..25% bigger and don't extend past the scales..the knife is an absolute pleasure w/ them..what a great knife. Edgeoflife and Nautique like this. That picture convinced me, thanks! Let us know what you think when it lands..
Edgeoflife and 3L3M3NT like this.